Dream job alert! Want to travel the world and take Instagram pictures? | SHEmazing! 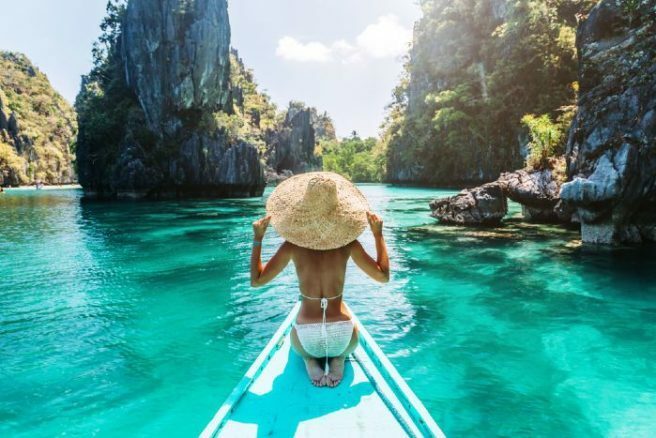 Slumped over the desk in work on a slow Tuesday, there's nothing more envy-making that opening up Instagram and seeing a random travel blogger swimming with manta rays in French Polynesia or hiking up Mount Fuji to capture the perfect view. The job of a travel content creator may feel like a million miles away (literally), but one travel company wants to give you the opportunity to go globe trotting and get paid for it. It might be time to ask for your P45, because the The Royal Caribbean wants to hire a wanderlust for an apprentice-ship (see what they did there?). The job entails travelling along The Royal Caribbean routes and making content about the off-shore excursions for TRC to share on their social media. If you think you have what it takes, upload your best travel snaps and videos from your previous travels, or else make some brand new content about your home town as a travel destination. One winning entry will be selected by April 5th, from a shortlist of 20 Finalists who shall be chosen from all entries who use the tag and hashtag on Instagram. The 20 Finalists will be announced on 15 March 2019 on the website and Instagram. So, what are the amazing destinations the winner will head to (and get PAID to be at)? The work includes visiting CocoCay in Alaska, Lisbon in Portugal ,Norway, Dubai, and Osaka, Japan. The winner must be able to travel between May and August 2019 for at least three and up to four consecutive weeks.